By 2018, the eSports industry is expected to generate $1.9 billion in revenue. With fans all over the world, the future of eSports is promising and likely to become a truly global sport. A professional eGamer often plays and practices up to 16 hours a day, every day, and competes in a breakneck pace environment. To win, they must perform many quick actions and demonstrate rapid decision-making and communication skills, a demand that is unlike any other sport. Therefore, these gamers must utilize any available mental resource to excel in such highly demanding conditions. Consequently, a professional eGamer performs under great physical and mental strain for many hours. In general, researchers in the field of performance psychology have found that the process of regulating and controlling unpleasant emotional reactions, such as anger, consumes a lot of mental resources. As a result, eGamers may be prone to frequent emotional fluctuations, more so than athletes in other sports. 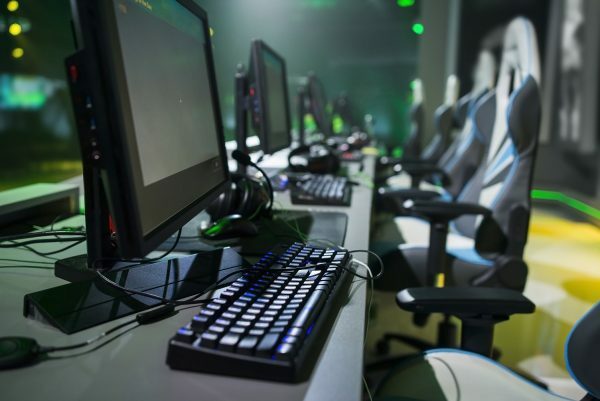 The good news is that the nature of eSports, being a computer-based online activity, enables coaches and performance psychology professionals to follow, monitor and provide immediate, as well as moment-to-moment, post-performance feedback. We can learn which situations cause an eGamer to experience anxiety or anger and then provide the tools necessary to either utilize that emotional response towards better performance or prepare strategies to regulate their response. For example, in my Ph.D. research, I demonstrated that anger could increase a performer’s response-time when channeled correctly. Furthermore, we can collect psychophysiological activity by measuring an eGamer’s heart-rate, respiration, skin-conductance, skin-surface temperature, and muscle tension. We can then determine from this data whether the performer is experiencing good stress (alertness) or distress (anxiety). With this understanding, we can then improve the player’s awareness of what triggers specific emotional reactions within them and provide the mental skills and strategies necessary to help them communicate efficiently and calmly with their team mates, perform better, and improve their overall well-being. Thanks to the eSports setting, professionals in the field of performance psychology now have the ability to pinpoint that exact moment that triggered a particular emotional reaction within a performer. This setting also allows us to gain an in-depth view of the mental and physiological state in real-time and to conduct a post-performance investigation. This flexibility provides an avenue to new and exciting possibilities that have never existed before, and perhaps improve an eGamer’s level of performance, personal, and professional well-being dramatically.